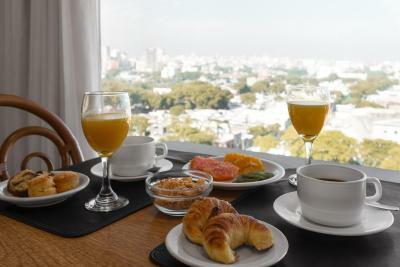 Lock in a great price for Days Inn by Wyndham Montevideo – rated 8.5 by recent guests! View from breakfast room was pretty good and it was a very comprehensive breakfast. Room was clean and bed was comfortable. Air conditioner worked well. Good sheets and blanket combination. Great value for money literally in front of Tres Cruces Terminal. Bed was very comfortable and despite being on a busy street, it was very quiet. Would highly recommend! This hotel is right beside the bus terminal, my room looked out onto the forecourt so its super handy is you are traveling by bus. It was New Year's day and Uruguay seems to close on its Eve and Day so it was just as well the room had excellent wifi and access to international channels on the TV. The breakfast was a buffet with plenty of variety. This hotel was cheaper but superior to another Montevideo hotel so represents good value for money. The staff were pleasant and professional so overall it gets a top recommendation. Days Inn was perfect for us, who were leaving next morning from the bus station next door. It is a typical American hotel, with all the things you expect, but a bit old. We got a room on the backside of the hotel, which is good, considering a lot of bus traffic on the other side. It is possible to walk to the centre of Montevideo, but it takes a while. 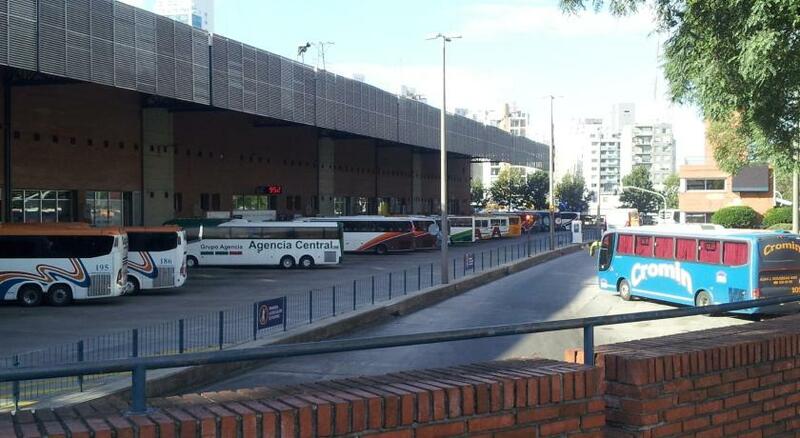 There are plenty of buses, if you prefer that. Very good location next to Tres Cruces bus station. There is also a shopping center with supermarket and some food chains (McDonalds, Burger King etc.). 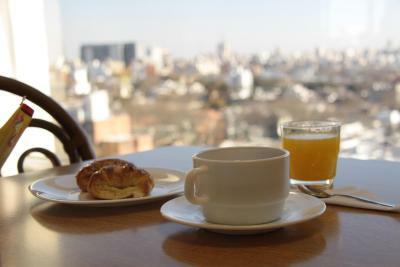 Breakfast is served at the 10th floor, so you can enjoy very nice view of the city while eating. The staff is friendly, the rooms are quiet and the bed are really huge. Days Inn by Wyndham Montevideo This rating is a reflection of how the property compares to the industry standard when it comes to price, facilities and services available. It's based on a self-evaluation by the property. Use this rating to help choose your stay! 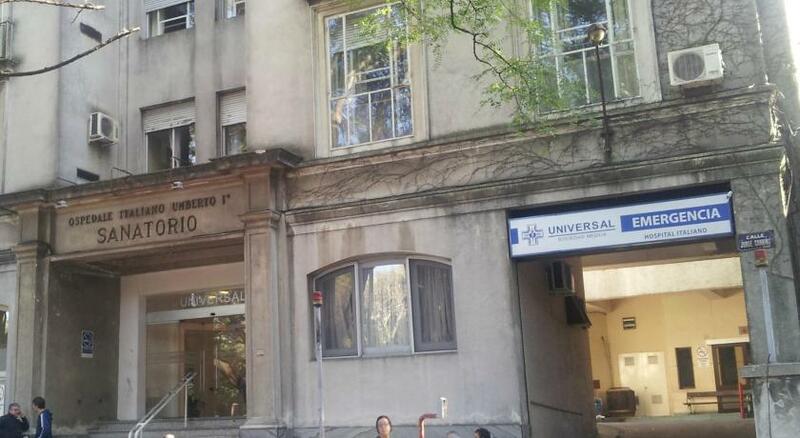 One of our top picks in Montevideo.Conveniently located in the heart of Montevideo, this hotel is just a few minutes’ walk from the Obelisk and the Tres Cruces Shopping Center. WiFi and private parking are available on site for an extra charge. Days Inn by Wyndham Montevideo offers breakfast on site. Rooms at the Days Inn by Wyndham Montevideo are simply furnished and offer a mini-bar, air conditioning and a work desk. The Days Inn by Wyndham Montevideo is near Montevideo shops, restaurants and beaches. 24-hour front desk assistance is provided. Shuttles services can be arranged. Del Entrevero Square is 1.6 mi from Days Inn by Wyndham Montevideo, and Independence Square is 2 mi the property. The closest airport is Carrasco International Airport, 8.8 mi away. When would you like to stay at Days Inn by Wyndham Montevideo? Private parking is available on site (reservation is not possible) and costs USD 10 per day. This triple room features air conditioning, cable TV and tea/coffee maker. 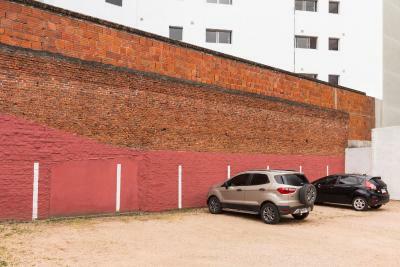 With a perfect location from where Montevideo reveals itself, facing Shopping Mall and Terminal Tres Cruces, Days Inn Montevideo offers accommodations in a prime spot. Portrayed as a classic hotel for all visitors coming to the capital, our services ensure a comfortable stay, adapted to every different need. Because of its location and services, Days Inn Montevideo provides comfort and convenience to those visiting for business or pleasure. 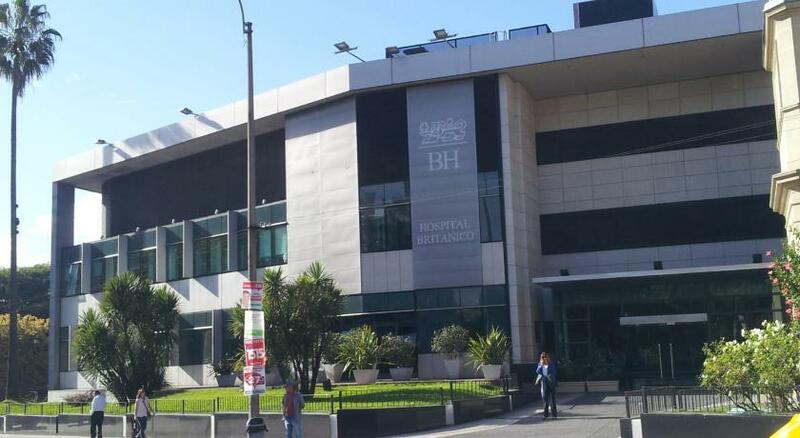 We are a few meters from the main hospitals of the city, Avenidad, Event Center and cultural spaces. Hotel surroundings – This neighborhood is a great choice for travelers interested in museums, architecture and old-town exploration – Check location Great location - show map Guests loved walking around the neighborhood! 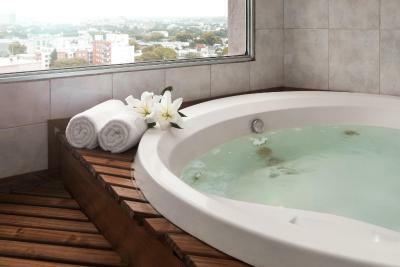 House Rules Days Inn by Wyndham Montevideo takes special requests – add in the next step! Days Inn by Wyndham Montevideo accepts these cards and reserves the right to temporarily hold an amount prior to arrival. Please note that parking is subjected to availability. It has a surcharge of USD 10 per night. There was not a free bottle of water in the room. The ticket for the tourist bus could only be paid in cash. The bathroom was very cramped but good enough . room needs upgrade, it's a bit old. We picked the hotel for its proximity to the bus station (it's right across the road), but we wouldn't have stayed in this location otherwise as it's not a great part of town. Very small room and bathroom. Needed some life and activity on New Year's Eve and Day but that's not the hotels fault its the same all over Uruguay. Great country to visit but on NYE. It wasn't quite as in the pictures. 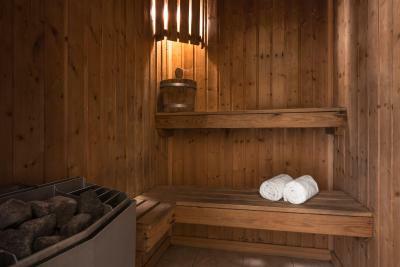 Also, we couldn't use the spa and sauna. Decor and bathroom especially very dated Front sign of the hotel definitely needs a refresh!! Breakfast was so-so. Adequate but far from exceptional.